The Preferences dialog offers level-of-detail settings for customizing power-tool results, lets you specify how to highlight problems when generating a report, and provides an editor for creating and adjusting output conditions (OutputIntents). It also allows you to specify the PDF/A level to which PDF files will be converted if they fail to pass the initial check. You can limit the maximum number of results to show per page or per document. The level of detail when displaying results can be customized. You can choose whether or not to check for updates. 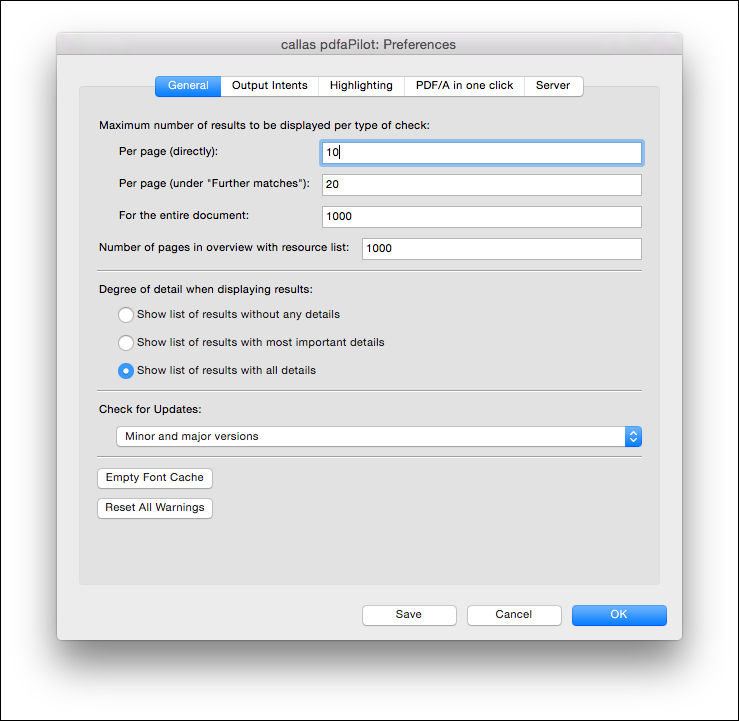 You can also empty the font cache and reset all warnings within pdfaPilot. Here you can create, edit or export OutputIntents (output conditions) as well as extracting ICC profiles. 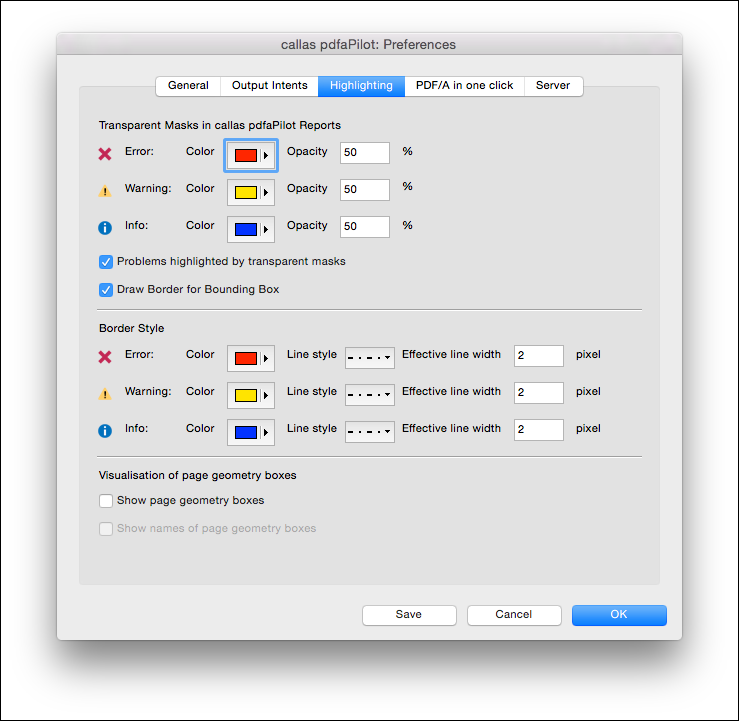 This tab lets you specify the color and style for highlighted objects within a PDF document or the transparent masks in a PDF mask report. 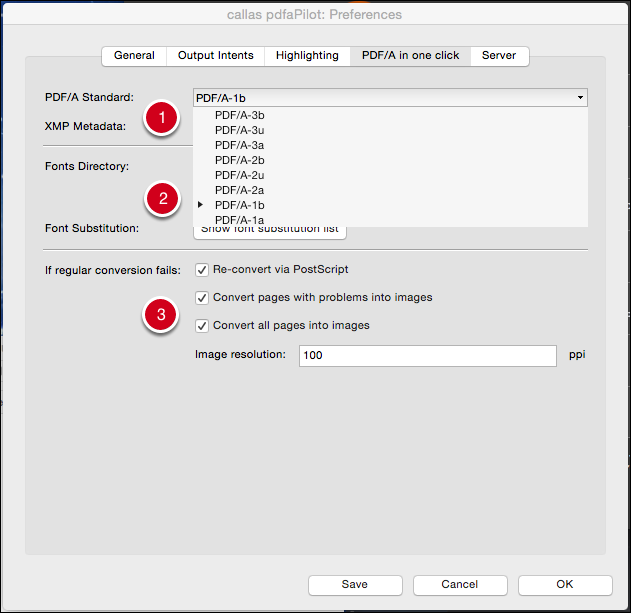 This window lets you set the desired PDF/A standard as well as other detailed conversion settings when using the “PDF/A in one click” function. The next section in this tab deals with fonts and font substitution. 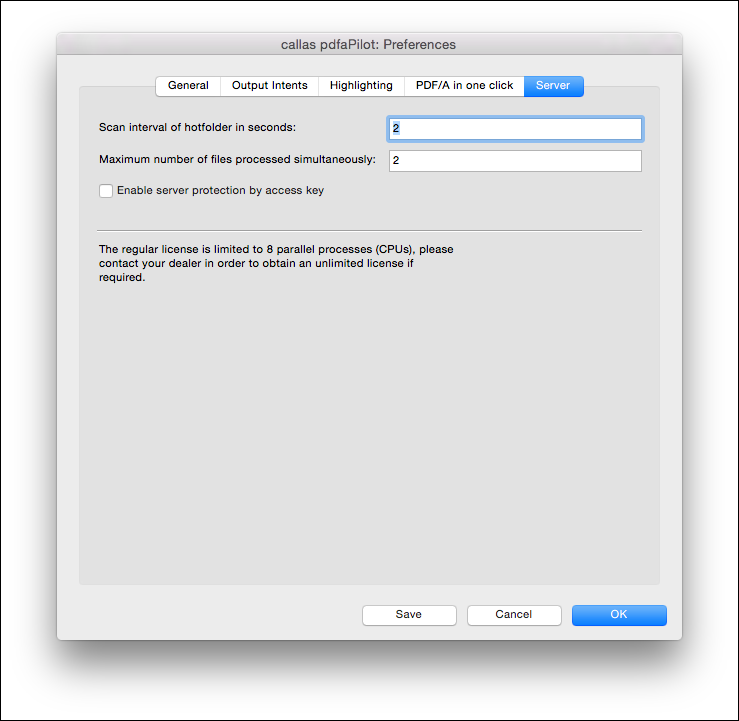 This tab lets you configure the settings for the server version of pdfaPilot.